Christie revealed that Dr. Paul Salvini, its chief technology officer, will be a keynote speaker and a panelist at the High Performance Displays Conference taking place in Vancouver, B.C., on May 23. High Performance is a new topic for the Society for Information Display's (SID) Market Focus Conference Series this year, as part of Display Week 2013, located at the Vancouver Convention Centre from May 19 to 24. Dr. Salvini will deliver the 10:00 a.m. keynote address for the morning session on the 23rd at the one-day High Displays Conference, where the focus will be on the "visual interface" - the performance characteristics of displays that enable differentiable improvements for the user's visual experience. Following his keynote address, Dr. Salvini will be one of four display sector leaders taking part in a moderated panel called "Great Thinkers." The four panelists will be challenged to identify the display performance parameters that "truly enable enhanced human interaction with display devices." 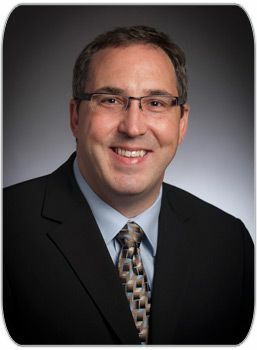 Dr. Salvini is CTO of Christie and leads the company's research and innovation activities. He is passionate about the creation of compelling shared visual experiences across multiple domains, including cinema, visualization and simulation. Prior to his appointment with Christie in June 2011, Dr. Salvini was CTO at Side Effects Software. He has led a 3-time Academy Award winning team of engineers and software developers in advancing the art and science of visual effect in feature films. Dr. Salvini is President of the University of Waterloo Alumni Council and holds an appointment as an Adjunct Professor in the Graduate School of Computer Science at the University of Toronto. He serves on a number of boards relating to digital media research in the areas of graphics, information visualization and 3D film innovation. In conjunction with Display Week 2013, the May-June issue of SID's official publication, Information Display Magazine, will feature an exclusive article by Terry Schmidt, Christie's recently retired Chief Scientist, on how Christie projected the world's first High Frame Rate (HFR) movie with the world premiere of "The Hobbit: An Unexpected Journey" at the historic Embassy Theatre in Wellington, New Zealand.